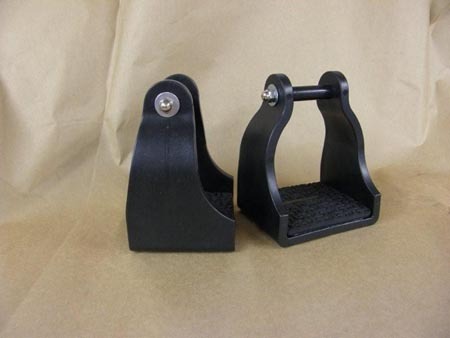 ST01 Bell-shaped, super comfortable wide tread with 1" closed cell foam on the thread, then covered with leather. Available with 2", 2 1/2 " or 3" spacer at the top. 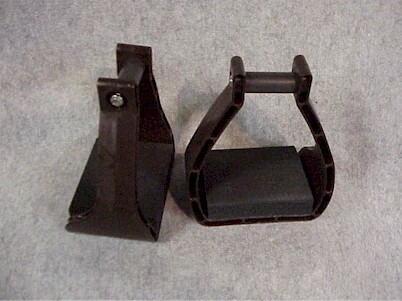 ST04 Made by Royal King For those who have smaller feet the base inside measurement of these stirrups are 4 1/2". 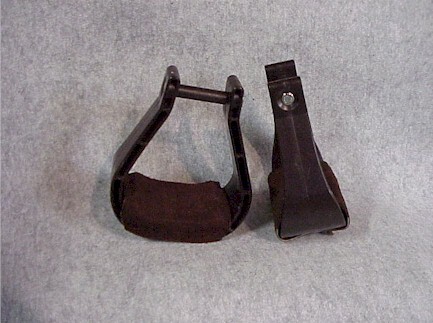 They are made of nylon and are an endurance stirrup with shock absorbing cushion. The option of Black or Brown.